Everyone has heard the old clich� that, if March comes in like a lamb, it leaves like a lion. This year, that clich� could apply to winter in general. The season may have started out mild, but Old Man Winter has finally settled in, wreaking havoc all across the map. For those who put off winterizing their cars because it didn’t seem necessary, it’s not too late to do it now. Here are the most important winterization steps in making sure a car is ready for the elements. Coolant: Make sure the car’s coolant is the proper mixture for cold weather and is at the optimum level. Battery: Extreme temperatures can kill a battery. Check the battery for cracks, leaks, loose terminals, and corrosion. If the car has been slow to start, take it somewhere that can check the battery’s charge. Oil: Cold weather affects oil’s viscosity, which is a measure of how thick it is and how easily it flows. When the weather is cold, many cars need thinner oil (like 5W-30 instead of 10W-30). Check the owner’s manual for the manufacturer’s recommendations. Fuel Delivery: Clean fuel injectors, throttle plate and a new fuel filter will help prevent drivability issues in the winter weather. Safety: Check all exterior light bulbs to be sure they are working; replace your wiper blades and ensure you have plenty of washer fluid that is for freezing conditions. Tires: Inspect the car’s tires. Most people don’t think about tires until they have a flat. That’s a dangerous habit, especially during the winter. The tread is all that’s protecting the car from sliding on slick surfaces. If the tread is worn down too low, the tires should be replaced. If the tires are worn unevenly, alignment and rotation can even things out. Even if the tread is fine, it’s important to check the pressure in tires. Tires lose one to two pounds of pressure for every 10-degree temperature drop. If the tires are below the manufacturer’s recommendations, it’s time to top them off. Treat the car to a spa day. Wash and wax: A good, fresh coat of wax will protect the car’s finish from things like salt, corrosion and the contaminants found in snow and rain. 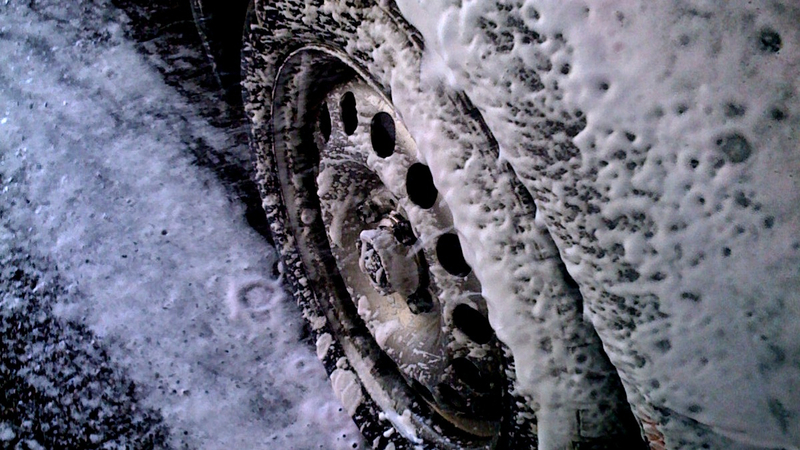 And a dirty car is a very poor surface for wax, so a professional wash is an important first step. Headlights: Consider headlight restoration. It’s a quick process that can remove all of the nicks and scratches that build up in headlight covers. Those imperfections can make headlights seem dim, and restoration can bring back full visibility. In addition, make sure that all bulbs are working, including brake lights and turn signals. Winterize the Engine: Be sure to get all services that will keep your car running in the cold such as a coolant exchange, transmission fluid exchange, fuel filters, fuel injector cleaning etc. This winter, protect both your investment in your car and your own health and safety by being ready for whatever winter throws your way. Mr. Clean Car Wash is ready to take care of everything except that emergency kit (that one is on you). Visit today to get 50% off a full-service wash with a V.I.P. Club membership, or look online for other great promotions.